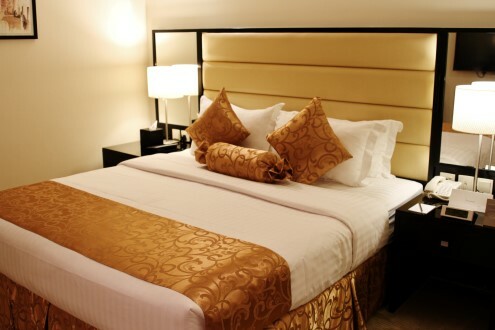 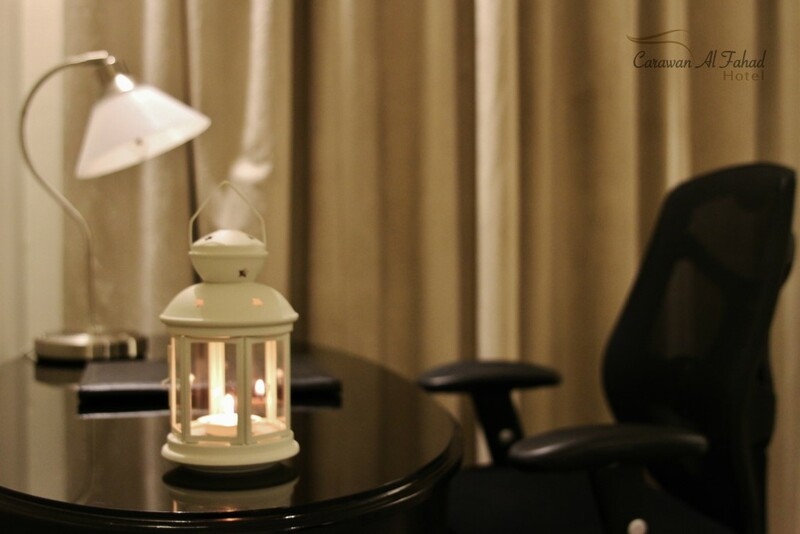 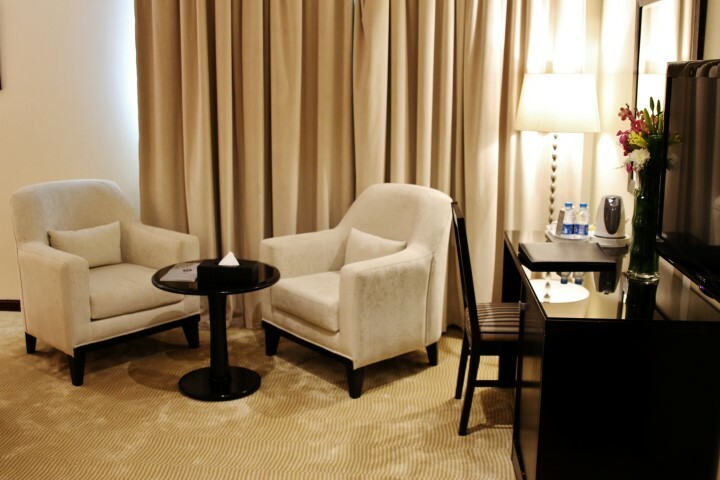 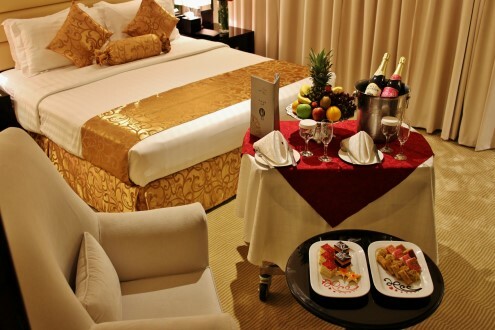 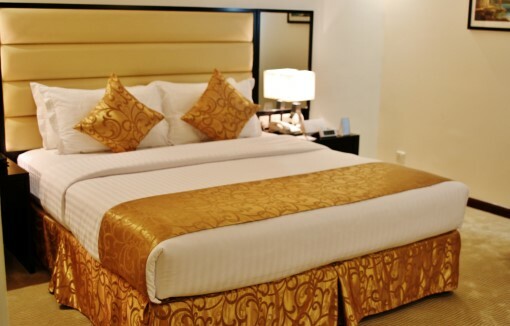 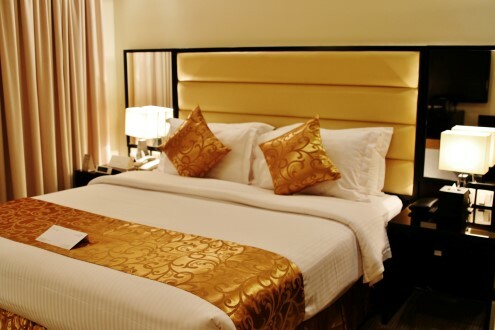 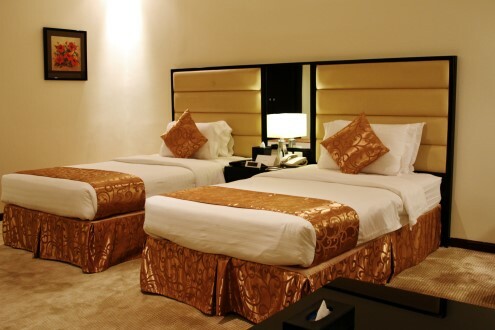 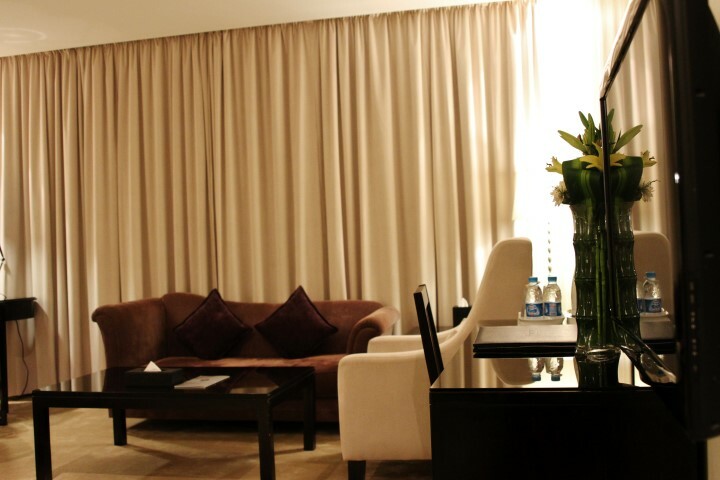 Luxurious king bedded rooms ideal to cater to your business as well as leisure needs. 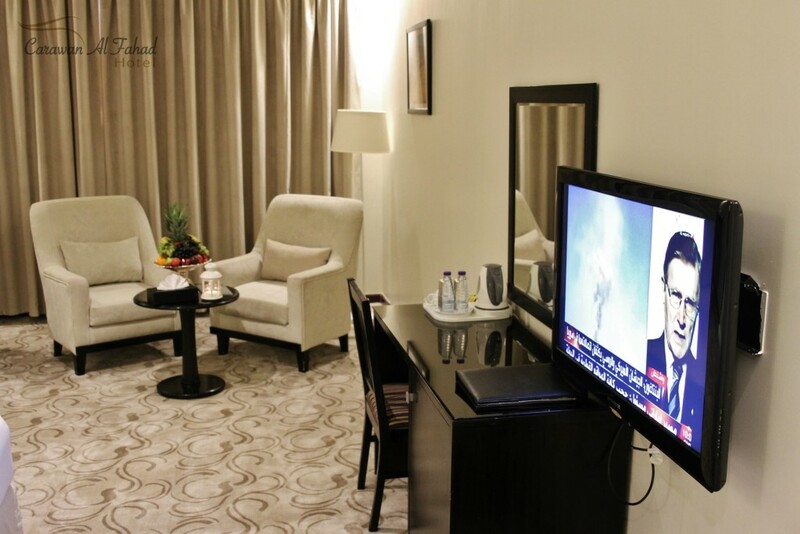 Room with luxury and spacious space, very convenient for the long stay, business with comfort, LCD screen, sofa to relax and watch TV. 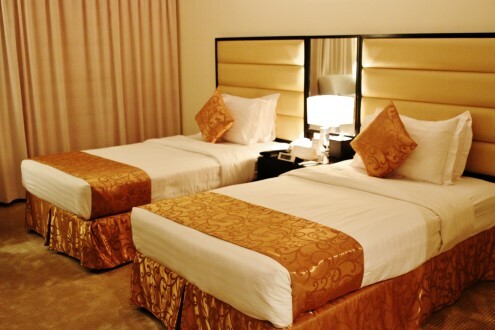 For 2 people with wide space, comfort beds were you can relax, wide LCD screen. 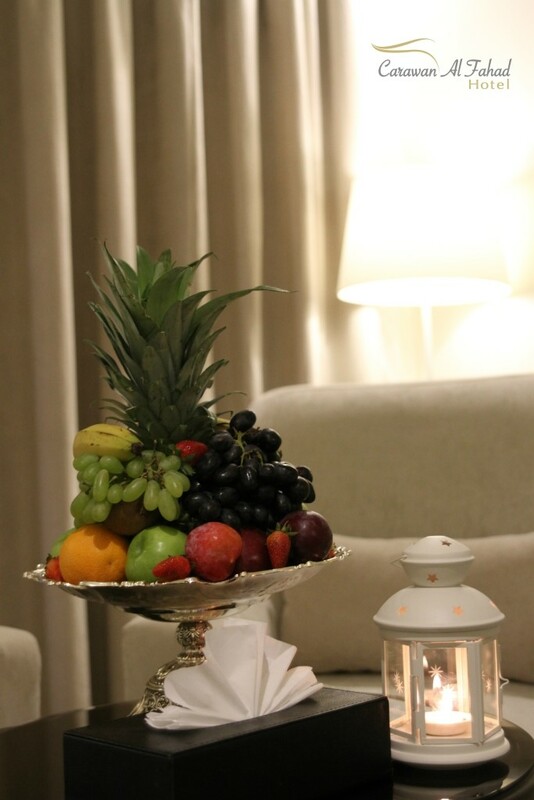 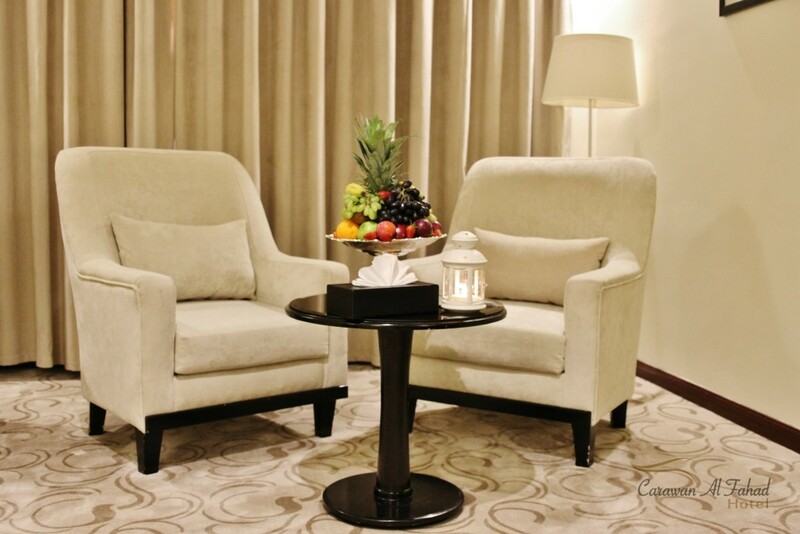 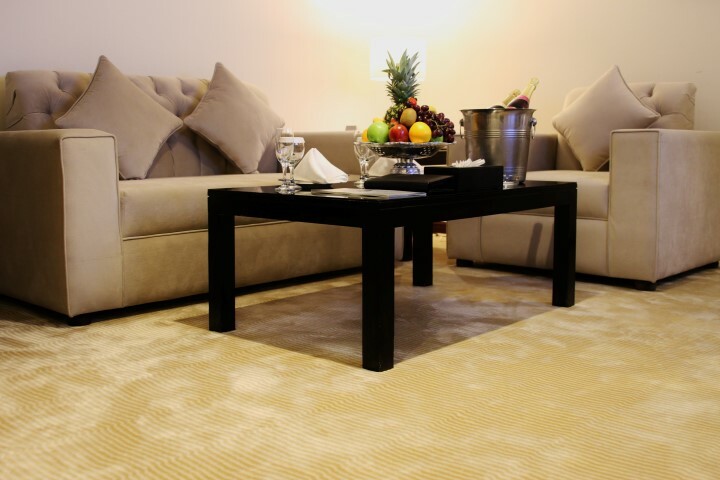 Simple and sophisticated décor combines Arabic tradition with contemporary comfort. 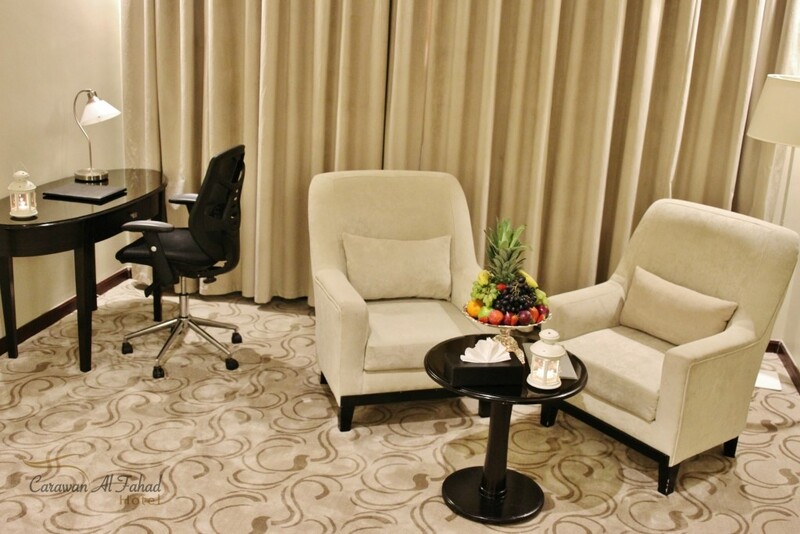 For the business traveler the specially designed business desk is a real bonus. 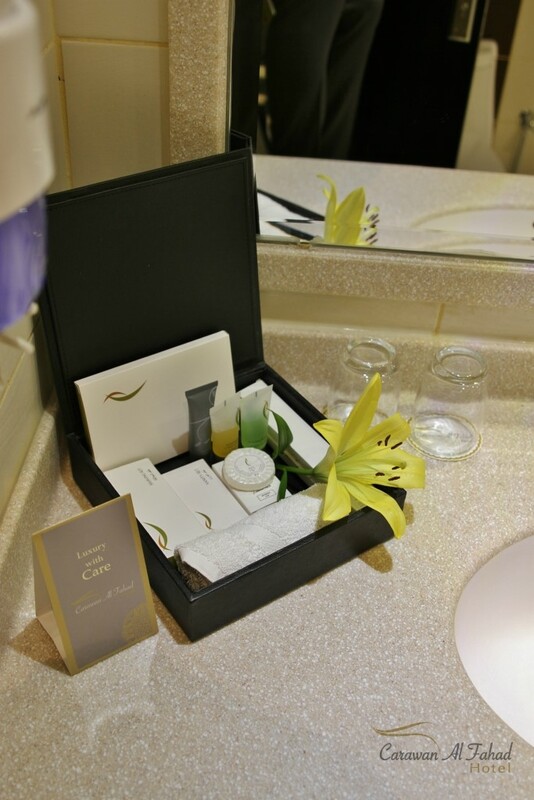 The Executive Suites have a separate guest washroom. 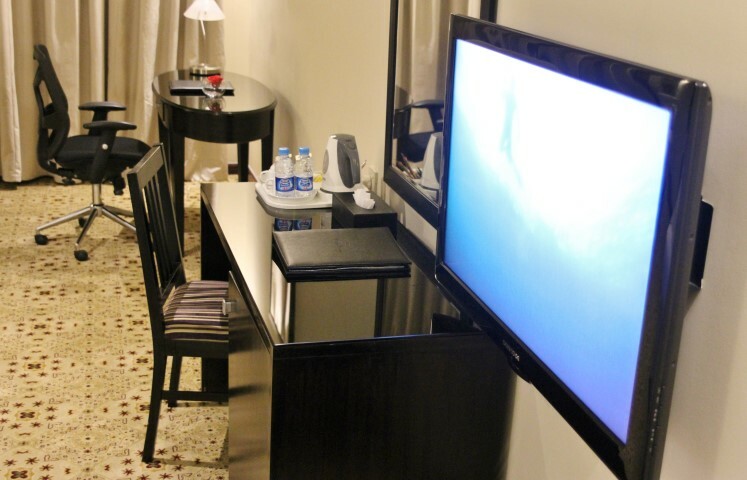 Suite with big value of comfort and relaxation wide space of Sitting area in separate room with LCD screen in each room,1 king size bed and 1 Twin bed room. 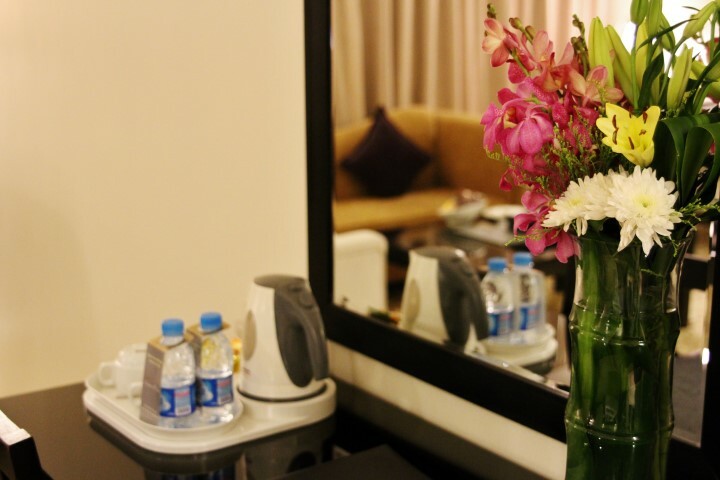 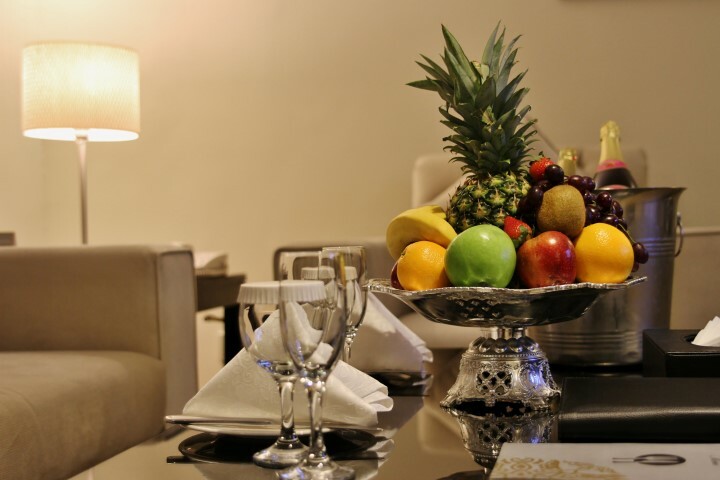 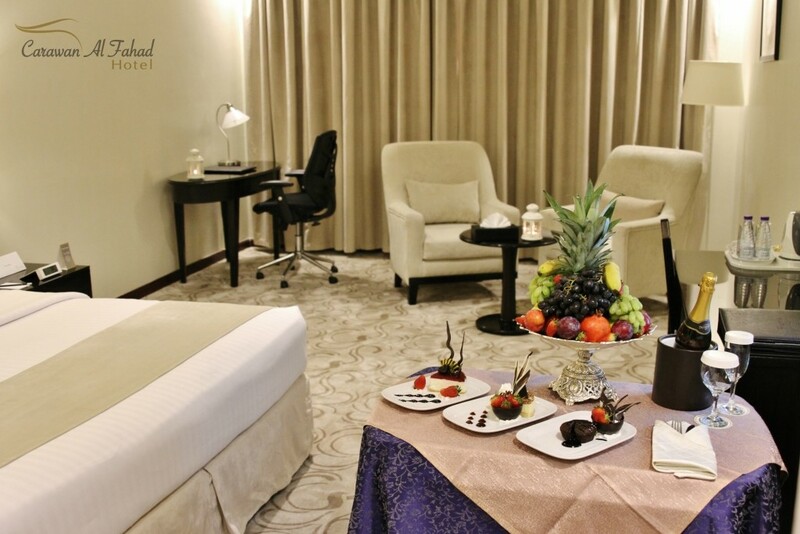 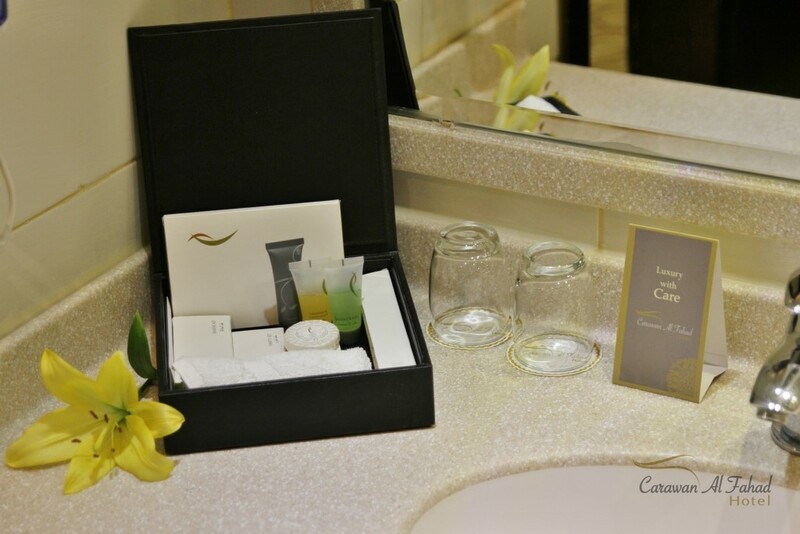 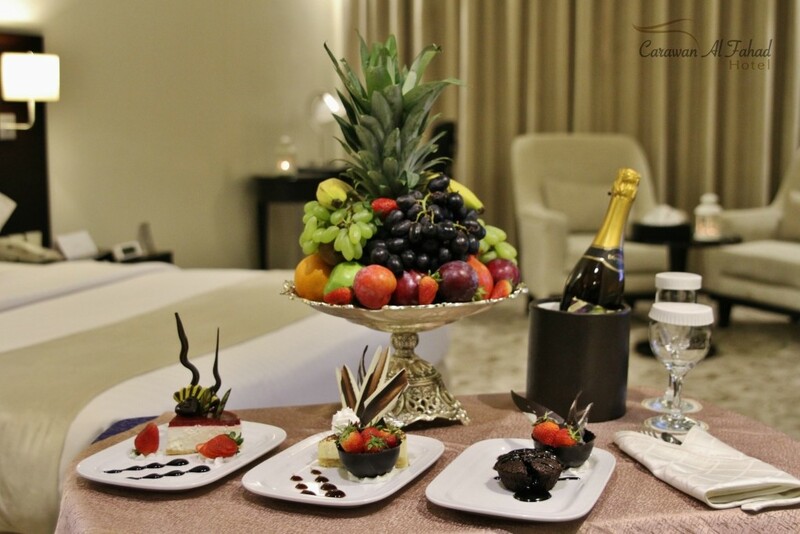 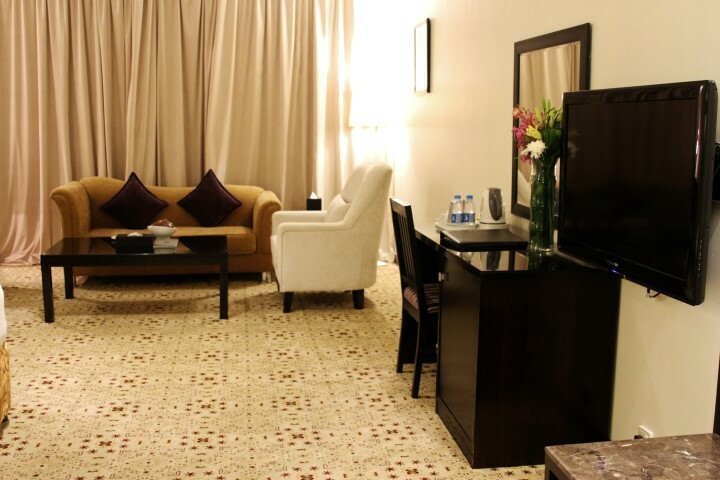 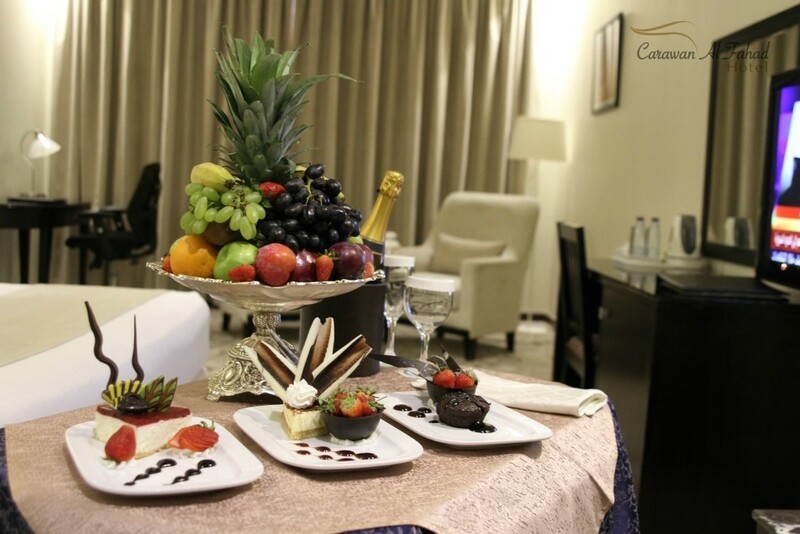 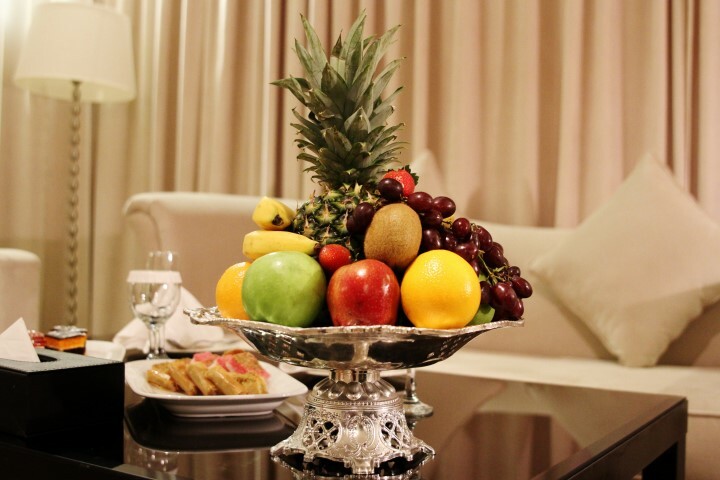 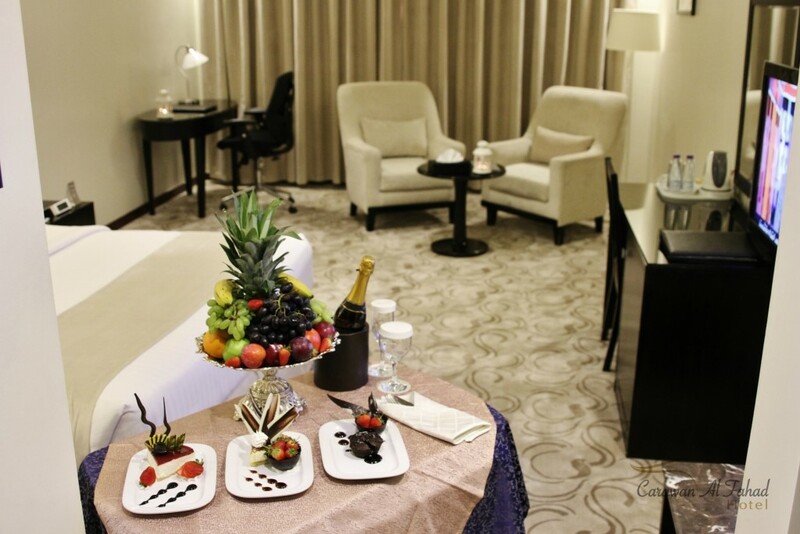 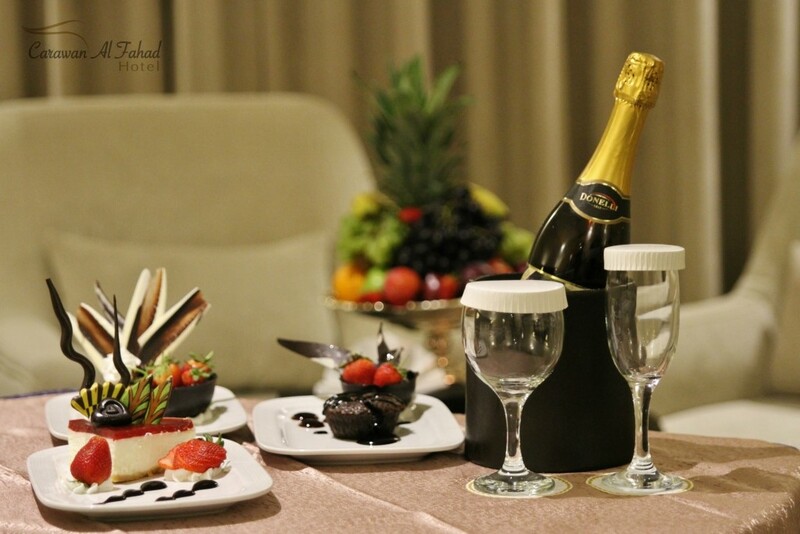 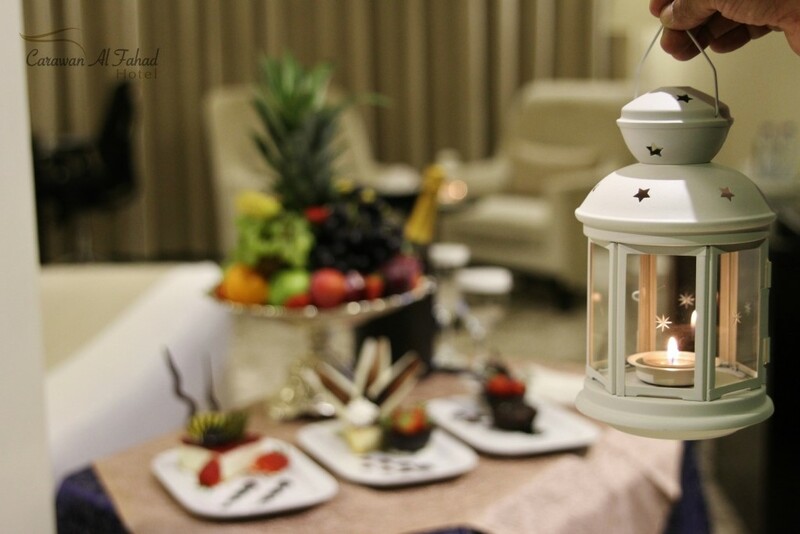 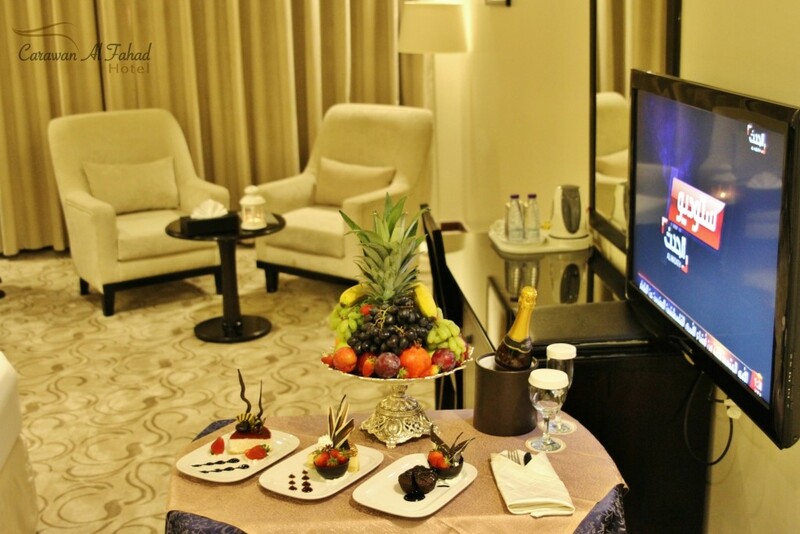 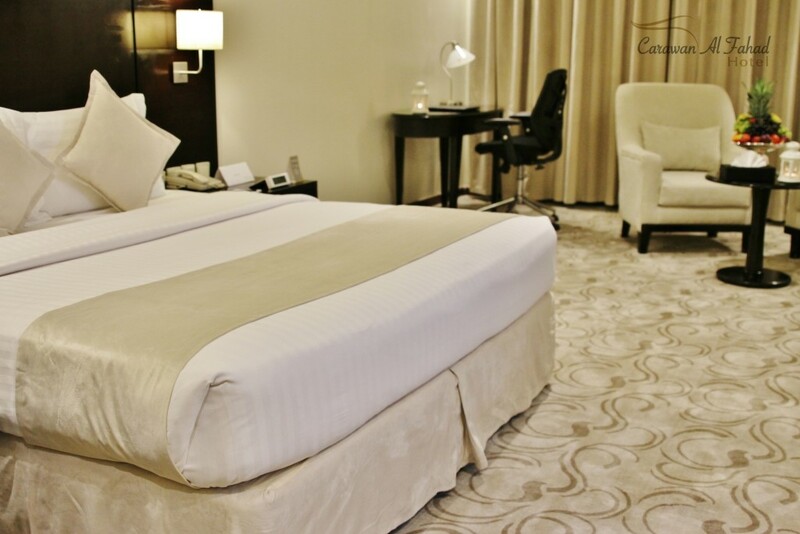 Carawan Al Fahad Hotel offers it guests a choice of 118 spacious rooms and suites all superbly appointed and beautifully furnished in contemporary style which makes the rooms a convenient choice for families or business during your trip. 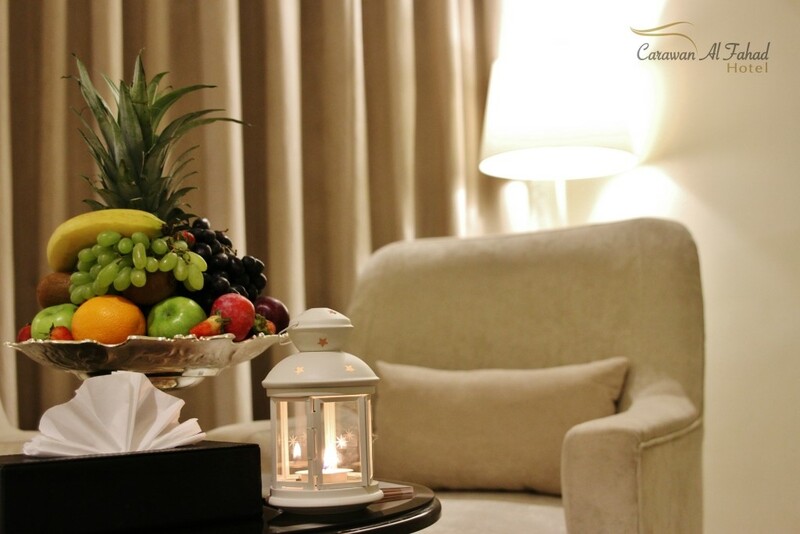 The colors, furniture and fabrics have been well selected and stand in complete harmony for you to enjoy a wonderful night's rest. 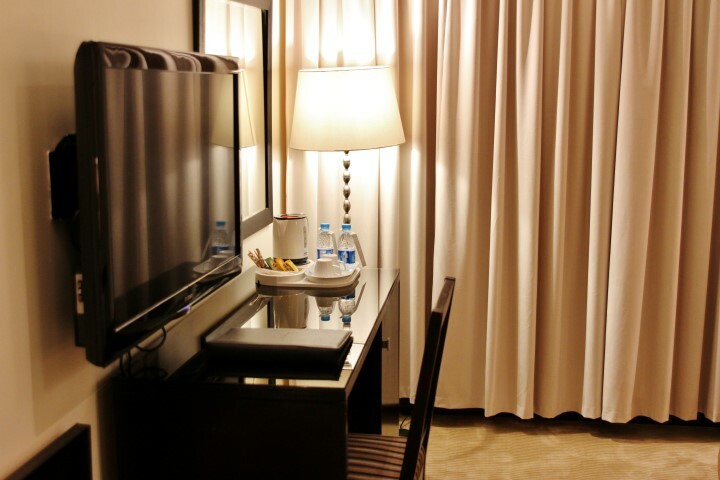 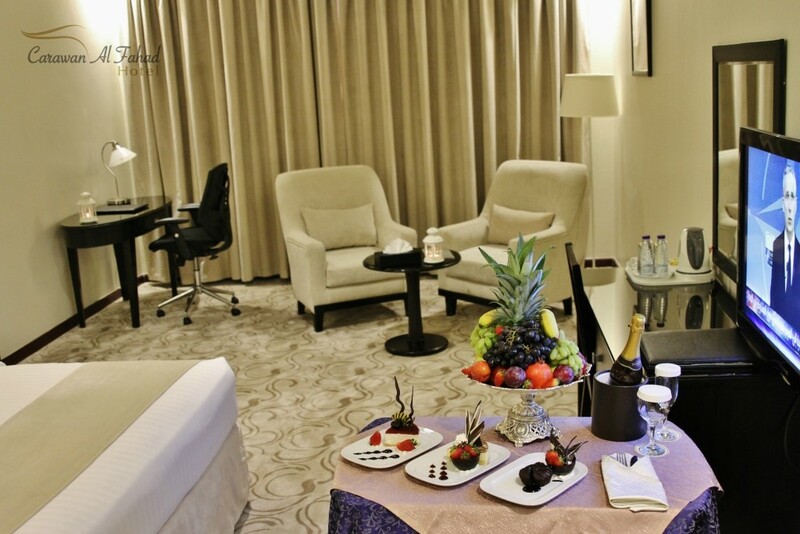 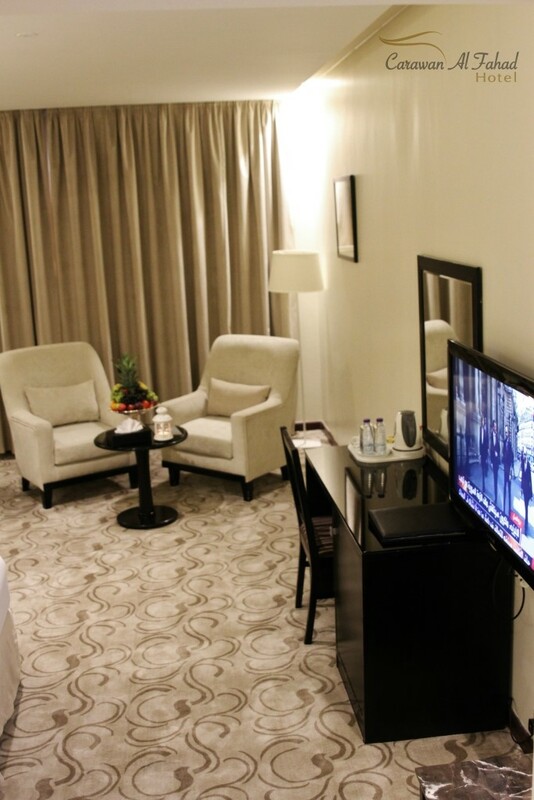 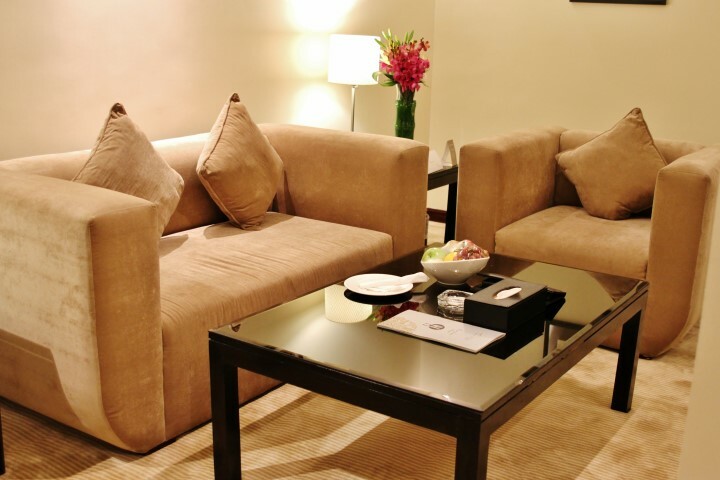 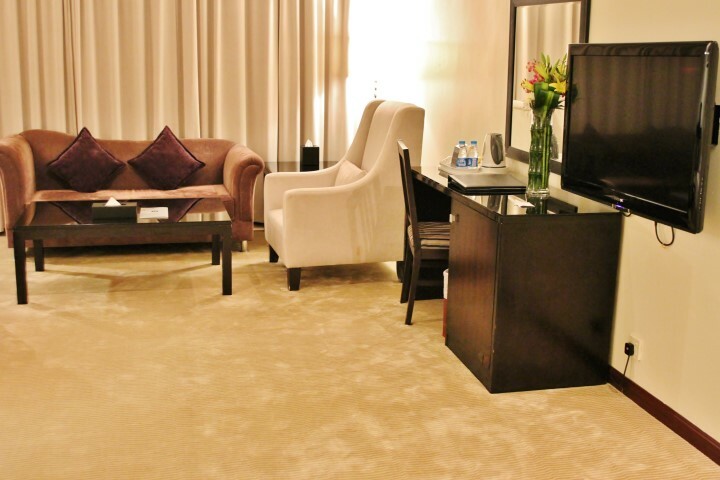 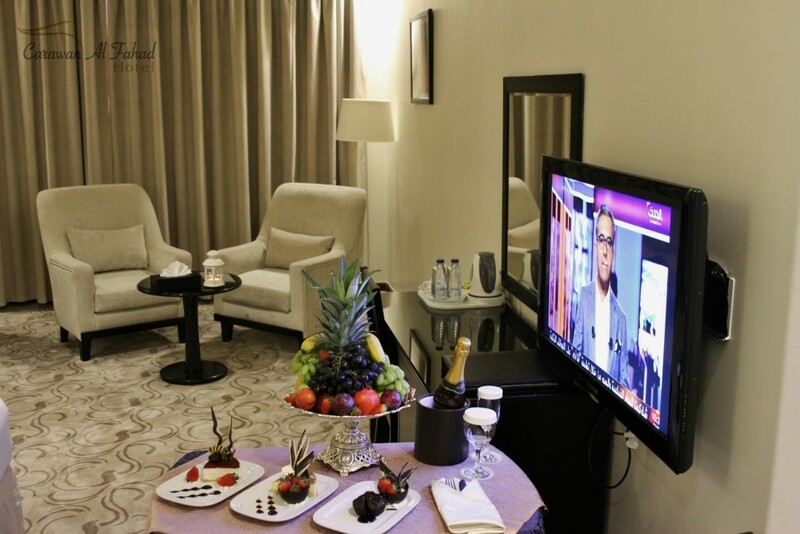 Each room is connected to a centralized A/C including plasma 42” screen TVs, the latest in-room technology and multiple satellite channels, high speed Internet connections and well-designed work stations. 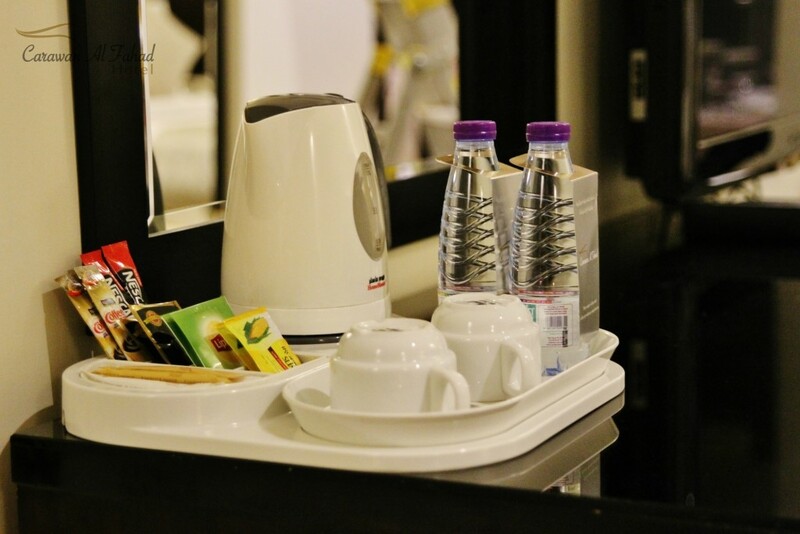 Exquisite bed linen, towels and bathrobes, delightful range of toiletries, complimentary coffee/tea facility and well-stocked mini bar, exclusive range of amenities, electronic safe box and 24-hour room service ensure you a comfortable stay. 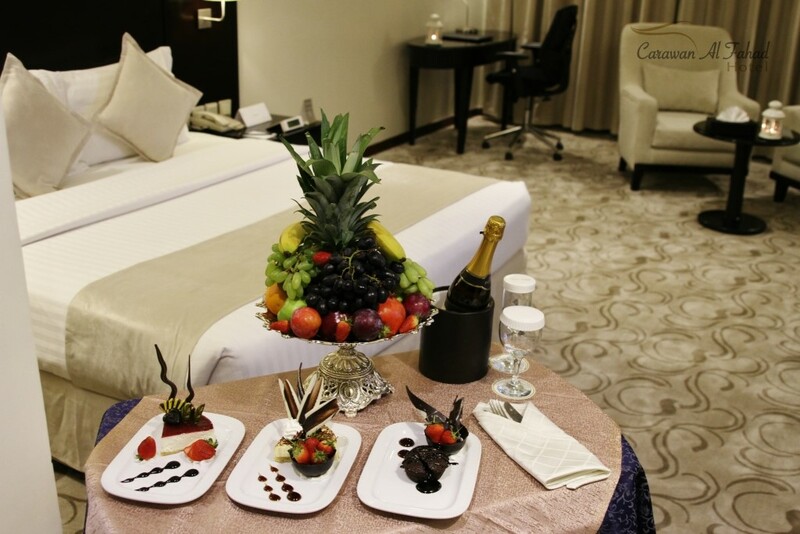 Our Hotel offers 2 bedroom Royal Suites that are sumptuously indulgent and relaxing with spacious living areas and dining room ideal for families as well as 2 deluxe Suites Ideal for Honeymooner.